Ethos is a full-featured apartment community designed just for you. This premier apartment community is beneficial to the IU student or modern young professional. We are minutes from the IU campus as well as local restaurants, shopping and nightlife. 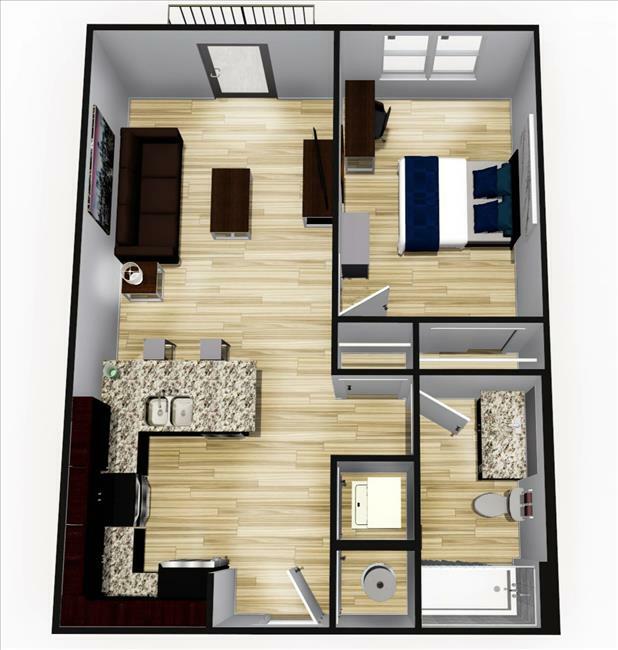 Enjoy spacious apartments in a setting that offers a complete lifestyle, including fully furnished apartments, a clubhouse with a study lounge, a tech center, rooftop pool, state-of-the-art fitness center, valet-trash service, social events and shuttle bus service to the IU campus. Come visit us at our leasing office downtown (near the bluebird) to learn more about Ethos.